20 MILLION VISITORS WILL ENJOY BOSTON THIS YEAR! Tourism is big business in Boston, resulting in more than $20.7 billion in annual spending. 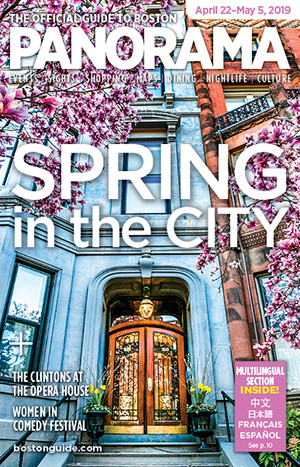 As Boston’s official visitor guide since 1951, Panorama magazine reaches this lucrative market with distribution in 15,000-plus hotel rooms throughout Greater Boston. Now with a newly revamped website and an active social media presence, Panorama reaches a larger audience than ever before. • Panorama is Boston’s most current guide-published every two weeks. • Panorama reaches approximately 375,000 visitors each month. • In-room and concierge distribution. • Digest-sized guide, easy for visitors to carry. • Print and online advertising package available.